Two weeks ago, we covered the TUI cruise fleet operated by the TUI Cruises joint venture with Royal Caribbean and the wholly-owned Hapag-Lloyd Cruises and Thomson Cruises. Today, we have a look at TUI’s expedition arm, with ships operated by Toronto-based Quark Expeditions and Seattle-based Zegrahm Expeditions. Emerald Waterways, meanwhile, is about to order three more 172-berth vessels for rivers they do not presently cruise on. And we have a quick look at the Duke and Duchess of Windsor’s cruise from Europe to Bermuda and Nassau seventy-five years ago this month. Eighty-five years ago, Canadian Pacific’s newly built Empress of Japan appeared with a white hull, something her running mate the Empress of Canada had adopted the previous year. Within a year, the 42,348-ton Empress of Britain had joined them, and would remain the largest white-hulled passenger ship for thirty years, until P&O’s 45,270-ton Canberra of 1961. 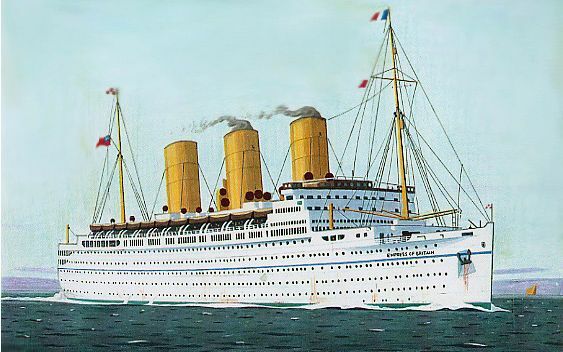 Soon, lines such as P&O, Pacific Steam, Blue Star, Lamport & Holt and Royal Mail joined them. 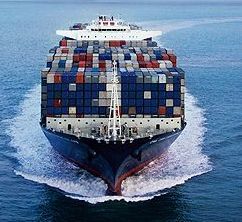 Meanwhile, CMA CGM is introducing three new passenger-carrying cargo ships to its Caribbean and South American route, while the three they replace will open up a new passenger service between the Mediterranean and the Caribbean. And finally, we have a look at some of the world’s longest cruises, as brought to us by Prestige Cruise Holdings. Note: The Singapore to Sydney voyage will be offered exclusively by Cruiseco in 2016 using Royal Caribbean’s brand-new 168,666-ton Ovation of the Seas, departing Singapore 30th November and arriving Sydney 15th December 2016. This will be part of the vessel’s maiden voyage to Australia. Please ask for further details. 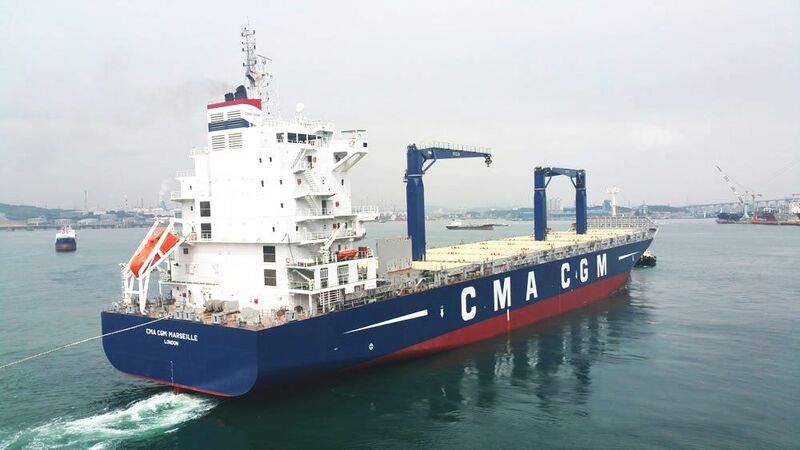 The CMA CGM Marseille, second vessel of CMA CGM’s three-ship Guyanamax series, has recently been delivered in South Korea. This 2100 TEU capacity vessel (which includes 530 refrigerated containers) was built by the Hyundai Mipo Dockyard and will fly the UK flag. The three ships will operate in the North Europe French Guyana North Brazil line. This 42-day rotation calls at Tilbury, Rouen, Le Havre, Philipsburg, Port of Spain, Degrad des Cannes, Belem, Fortaleza and Natal and returns via Algeciras and Rotterdam to Tilbury. The CMA CGM Cayenne and Marseille are equipped with cranes while the CMA CGM Saint Laurent is not, leading to speculation that the third ship could eventually be placed in service to Montreal, as her name would seem to indicate. The present CMA CGM-chartered ship on the “St Laurent” service is the much larger 3091 TEU Em Kea, which runs together with three 2900 TEU ships provided by Maersk Line. The new trio will carry passengers and the accommodation will amount to three double cabins and one single, accommodating up to seven passengers. They replace the six-passenger CMA CGM Aristote, Herodote and Platon, which have now been moved to a new cargo-passenger service between the Mediterranean and the Baltic. For further details on how to book either of these Transatlantic services please call Miri Lopusna at The Cruise People Ltd in London on +44 (0)20 7723 2450 or e-mail cruisepeopleltd@aol.com. This winter, sail to St Maarten by cargo ship, with regular 12-night sailings from London Tilbury to Philipsburg, and calls at Rouen and Le Havre before leaving Europe. The present ships in this service, CMA CGM Aristote, CMA CGM Herodote, CMA CGM Homère and CMA CGM Platon, are fitted with an Owners and two double cabins, passenger lounge, gym and swimming pool. Passengers dine with the officers and are allowed to visit the bridge. When the exisiting ships are replaced by three new ships, CMA CGM Cayenne, CMA CGM Marseille and CMA CGM Saint Laurent, this autumn, the present trio will be transferred to a new Med-Caribbean service serving Panama, Colombia and the French West Indies. Whichever ship you book on, regular sailings give you the opportunity to tailor the length of your stay in St Maarten, with the fare from London Tilbury being €1,200 (about £885) per person double, or €1,320 (about £975) pp in the Owners Cabin, and €1,320 single (about £975), or €1,560 (about £1,155) in the Owners Cabin. Fares for the 10-night crossing from Le Havre start at €1,000 (about £739) or €1,100 (about £815) single. Fares include port charges and complimentary French table wine with lunch and dinner. While French-owned, all four ships are registered in London. Then, on March 28, 2016, sail from St Maarten to Barcelona on a 12-night voyage on board Croisières de France’s 1,442-berth Horizon, the first ship ever built for Celebrity Cruises and still trading within the Royal Caribbean group. After an 8-night Atlantic crossing, calls are made at Madeira (April 5) and Gibraltar (April 7) before arriving at Barcelona on April 9. The cruise-only fare for an outside cabin with port charges, drinks package and gratuities included begins at £503 per person and there is also an all-inclusive single fare of £569. Included in your Horizon fare are all meals in non-speciality restaurants, on board bars and lounges, entertainment, live music, alcoholic and non-alcoholic beverages including some premium brands, port charges and gratuities. The Horizon is operated for Croisières de France by Pullmantur Cruises of Madrid and is registered in Malta. Return voyages from St Maarten are also avaialble by cargo ship but as the voyage calls at Trinidad, Guyane and three ports in northern Brazil before returning to Europe, the return to London takes 30 days. Please ask for fares. 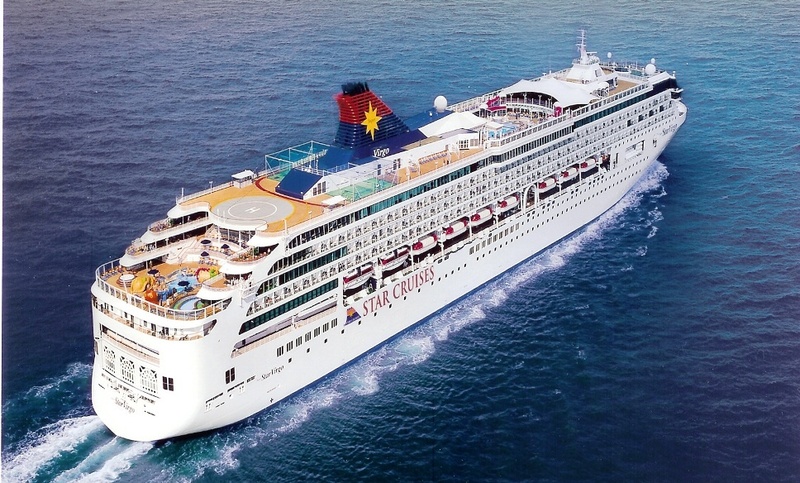 For further details please call The Cruise People Ltd in London on +44 (0)20 7723 2450 or e-mail cruisepeopleltd@aol.com. The fourth ship of the recent quartet built for Ponant Yacht Cruises at Fincantieri’s Ancona shipyard, Le Lyrial differs slightly from her sisters in that she has only 122 suites and staterooms while the earlier ships have 132. 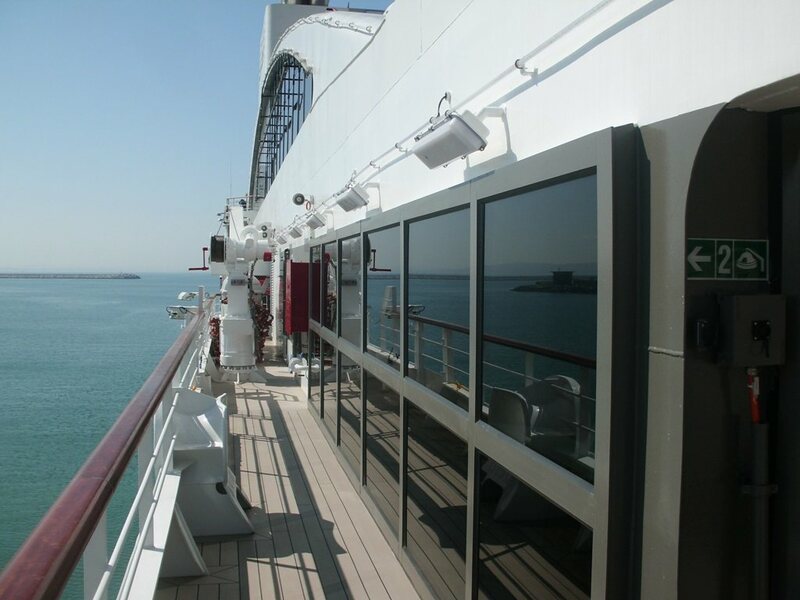 Ten suites on the new ship have been doubled in size, bringing the total number of passengers down slightly. Have a good look at this quality product. There are lots of things to watch and lots of things to listen to, as well as 360° visits to different areas of the ship. Click through the link above, scroll down and enjoy yourself with this special website just for Le Lyrial. Then, for further details on yacht and expedition cruising with Ponant, please call The Cruise People Ltd in London on +44 (0)20 7723 2450 or e-mail cruisepeopleltd@aol.com.